I actually prefer the previous one, as it looks more riverbeddish. The new one has too much of a beach vibe. This map is pretty great visually, I like that you took assets from Inferno, Dust2 and Canals to make a unique theme that doesnt resemble any of those maps. 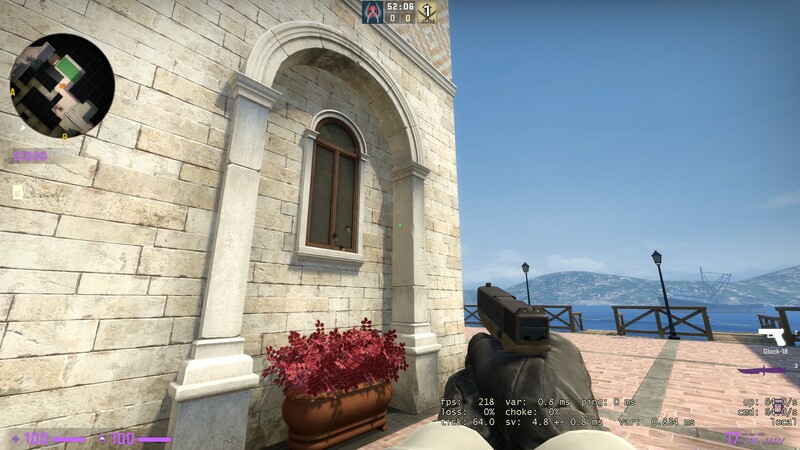 It also avoids that problem with maps set in Italy where they are almost identical to how inferno looks, the use of pink on the walls instead of red, along with many great custom stone work textures really brings home the unique theme feel. 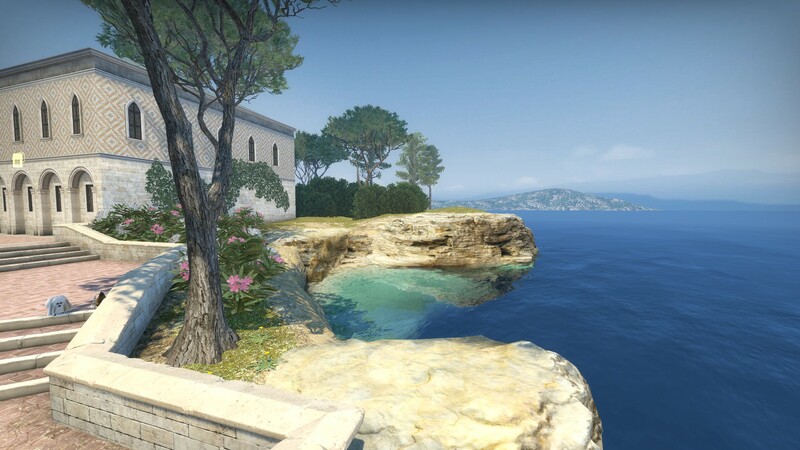 The 3d skyobx is also very nice and looks very similar to those typical images of beech side Mediterranean cities that are so ingrained into western culture. I want to take a dip in there! Cant remember is this based on a particular location? No. Just my imagination stimulated by pictures of real Mediterranean landscapes. Some cool stuff here! I hope you can replace those old Italy windows tho, a bit triggering. This map always had a nice ambiance with the pink walls, pink is such an underused color. The reflections look awesome and those are some really nice rocks. Are they photoscanned? When you live like me in a landlocked region (Transilvania) and 5-6 months a year the weather is quite chilly and wet and everything is gray and bleak, you start dreaming at sunny days, white sandy beaches and turquoise clear water. That is why i like to choose (with a few exceptions) this kind of themes for my maps. It's a way to escape reality. I don't wish to open another thread, so i want to make an announcement: The final version of de_aurelia is here. Well, officially is final but we all know that some feedback will follow and then some updates. I updated the map, VIDE could not see all the textures used by 4wayblend and by the ocean water material. Now it's okay. You can extract and use all the custom assets from this map if you wish ( primarily the ones made by me of course), but beware that some of them have romanian names and you will need google translate. Some of the models like the weeds, some flowers and the ivy are with skins.